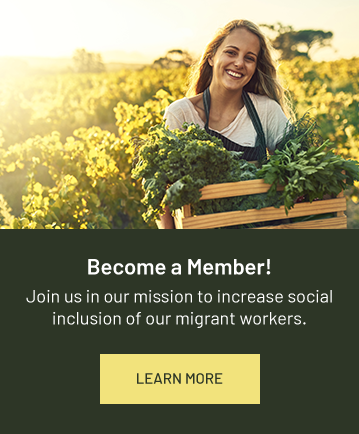 If you're a migrant worker in the Niagara Region, it's our goal to make access to the essential services you're entitled to as easy and stress-free as possible. Using an interdisciplinary team approach in collaboration with community partners, Quest provides accessible, high quality care through Points of Services throughout Niagara. Quest CHC’s MAWP incorporates primary health care services, health promotion and community capacity building initiatives. All program areas were developed in collaboration with local community stakeholders. Services are currently delivered in Vineland, Virgil, St. Catharines, Beamsville and at farm visits. SAWP workers have the right to health care coverage upon entry into Canada. For those in the LSPP and Ag Streams, there is a 3-month waiting period for OHIP coverage, but employers must provide private health coverage during that time. Download educational materials about occupational health and safety (OHS) topics. These handouts include those developed by NIOSH, CAL OSHA, the US National Center for Farmworker Health (NCFH), among others. This helpful multilingual guide provides information about your rights and available services as a migrant worker in Ontario. Find reconditioned bikes and bicycle repairs in Niagara-on-the-Lake. A comprehensive list of important phone numbers for migrant workers. This document contains information and advice for migrant workers looking to obtain Employment Insurance. Available in English and Spanish. This document contains important information about occupational health and safety for migrant workers.